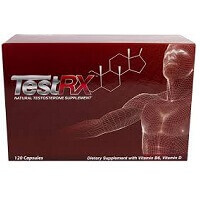 Testosterone Booster Fat Burner for Men-S-500 is a breakthrough powerful fat burning testosterone booster for men and is designed to transform your body, shrink your belly and achieve total body fitness. This ultra concentrated lean muscle formula has proven ingredients that deliver your body with what it needs to accomplish your fitness goals and get the shape you really want. S-500 7x is more powerful than average testosterone booster. S-500 works in 3 unique ways to achieve complete results. 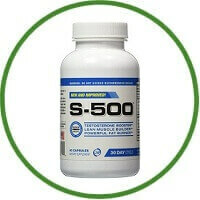 S-500 has combined the key ingredients to boost your workouts, give you a new look beyond the gym. Our revolutionary fat burning matrix energy ingredients are 7 xs more powerful than traditional weight loss supplement that helps boost metabolism, curb your cravings and give you the all day energy you need to get through the day and conquer your fitness goals. S-500 has handpicked key premium ingredients that are backed by research and desired by men to assist the body in restoring healthy levels of free testosterone. These powerful muscle building ingredients have been combined to make you look and feel great while helping you build that lean muscle body you desire. S-500 has all included key ingredients to help increase libido and vitality to help you perform after your workout or the gym…after all, you have worked hard… You deserve it. We have also included powerful ingredients such as L-Argnine that works together to give you that ultimate pump that will keeps you pumped thought out the workout and your day. It is made in the USA in a GMP Certified facility. Burns fat while keeping health lean muscle mass. Ultra concentrated capsules with no fillers or binders. 30 day cycle that works great stacked with t-250. It offers 100% money back guarantee with dedicated customer service to ensure the best experience.